Craig got no further, for Tungata's anger turned to red fury. He was shaking with it, it clouded his gaze and knotted the muscles at the points of his heavy lantern jaw. 'Be silent,' he hissed. 'You meddle in matters that you do not understand, and that do not concern you. Leave this land before they overwhelm you. 'His family's past. His country's future. 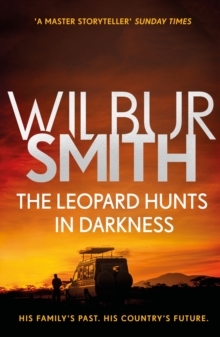 Bestselling author Craig Mellow is tired of fame, and wants only to return to his family's old home in Zimbabwe. Although it's now derelict, Craig wants to rebuild and turn Rholands into a functioning ranch and tourist safari, but finds his way unexpectedly blocked by his old friend, now government minister, Tungata Zebiwe. Working with acclaimed photographer Sally-Anne Jay, Craig is able to uncover Tungata's corruption and continue with his planned restoration. However, there is new fighting on the horizon that may threaten not only Rholands, but the lives of all who live there.